Quick, spontaneous, precise: Ewen’s straightforward attitude has earned him a reputation for being able to work amongst people who aren’t always used to the camera. His ability to be present in a scene, without controlling it makes his pictures immediate, energetic and powerful. Originally from the Northeast of the UK (Newcastle) he was first noticed in the 90s, when his work for The Face and Sleaze Nation was celebrated for its challenging subject matter and style. 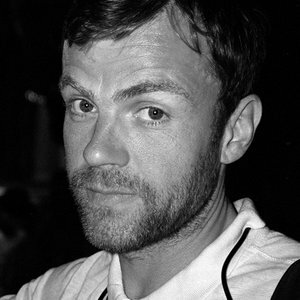 Then in 2002 Martin Parr tipped him as the most promising newcomer of that year. He then began working with bands, including The Streets and The White Stripes, producing cover art and behind-the-scenes tour material. He self-published his controversial book ‘Open Mike’ in 2004 which documented the grime scene in London, its associations with gang culture, and the situations he found himself in. It was a groundbreaking move for a young photographer to self publish in the mid “00’s and it earned him a deep and lasting respect from his peers. This ability to walk a line between documentary and constructed imagery has earned him commissions from Adidas, Nike, Sony, T Mobile, Puma and Massive Attack to name a few. The love of self publishing continued with “Three’s a Crowd” which looked at the behind the scenes culture of an early White Stripes tour and now “Guapamente” a quarterly zine which shows a new Ewen project every issue. Guapamente is a positive reaction to the absence of open editorial pages in the UK magazine culture where photo essays used to be regularly commissioned. He’s also recently published a book and made a film called UKG (which will be shown on April 2014 on Channel 4). UK Garage was a huge scene in the 90’s, which Ewen documented at the time for editorial commissions. Commercially successful for the last 10 years – Ewen’s place in the photography scene is fully established and he remains unrelenting in his enthusiasm for communicating. He regularly visits students at photography colleges around the UK, believing strongly in supporting young talent and using his story to inspire the next generation. He’ll be one of the keynote speakers at the popular It’s Nice That’s ‘Here 2014’ Festival in July. In their words they are joined by “The UK’s Hippest Photographer”.